There are a number of vocoders commonly used in dPMR. For those of you who are not familiar already with what a vocoder is, here is a brief explanation: A vocoder converts the voice signal into low bitrate digital data so it can be sent over a radio channel, and then converts it back to voice at the other end. This allows the voice to be sent in less bandwidth than if some other audio codec that is not optimised for voice (MP3 for example) was used, or even than analogue modulation. A vocoder is just an audio codec that was specifically designed to be optimised for voice, and usually will not accurately represent other sounds. 1. (00 in binary) Standard vocoder. AMBE+2. This vocoder is very widely used in digital PMR/LMR products including in DMR, P25 Phase 2, and NXDN. It is a solid choice of vocoder, but far from the only choice. A sample of how this vocoder sounds can be heard at the start of this video. All Icom and Kenwood dPMR radios use this vocoder and are guaranteed to work together because they have been through interoperability testing. 2. (01) Vocoder to be selected by the Chinese DRA. I could not find any information about this vocoder online. I requested information from the dPMR association and they did not know what it was. I could not even find out what the Chinese DRA is, but I'm guessing it would be some kind of radio regulator like the FCC in the US or Ofcom in the UK. If you have any information at all about this then please leave a comment below or contact me. I have never seen a single dPMR radio using the RALCWI vocoder. I cannot even find any samples of what that vocoder sounds like online. I contacted the company that made this vocoder, asking if they had a sample, and if they would give me permission to post it. They said that they do have a sample but that "audio samples are only made available to known equipment manufacturers with a defined relevant project." My guess is that this vocoder must sound awful, because other vocoder makers usually want to show off how good their product sounds. 4. (11) Manufacturer defined vocoder. This is probably the second most used choice after number 1. Although the certified dPMR radios all use the standard vocoder, many Chinese manufacturers have been using the dPMR standard to create fairly cheap digital radios, however their radios have not been certified by the dPMR association so are not guaranteed to work with other dPMR radios. The manufacturer defined vocoder is not one specific vocoder. It can be any other vocoder that the manufacturer selects. The vocoders that I have seen in use (with, I assume the manufacturer defined setting), are ASELP and AMBE+2C. More information is given below. A vocoder developed by the Chinese Tsinghua university. ASELP stands for Advanced Sinusoidal Excitation Linear Prediction and is not to be confused with ACELP, the vocoder used in TETRA. This vocoder was developed because of the desire for a vocoder with intellectual property rights that were owned by a Chinese organisation. There is not all that much information on this vocoder online in English, however you can read my attempted translation of the journal article describing this vocoder. ASELP is commonly used in Chinese made dPMR radios and sounds fairly good. A sample of the vocoder as implemented in the Kirisun S780 can be seen in this video. This vocoder caused a bit of confusion for dPMR enthusiasts because nobody seemed to know who it was by, if it was the same as AMBE+2, or if it was just a name made up by the Chinese manufacturers to trick people into buying their radios (which would not be surprising because Chinese radios are commonly listed online with exaggerated output power and specification claims). I contacted DVSI, the company who made the AMBE+2 vocoder to ask them about AMBE+2C. They told me that it is their vocoder. It is made as an alternative to AMBE+2 but is not compatible with it. Although I was not given pricing information, I would guess that this vocoder is cheaper than AMBE+2 and that's why it is commonly used in Chinese made dPMR radios. It is available through a software licence. If you're looking to buy dPMR radios then I recommend that you buy radios using the standard vocoder. These are sold by Icom and Kenwood, and they are all good quality radios. 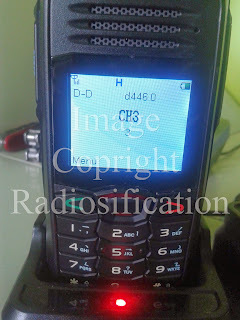 The dPMR radios sold by Chinese manufacturers are cheaper, but the quality is usually nowhere near as good, and you cannot rely on them to work with each other. Even within the same model of radio, the vocoder is sometimes changed, so if you need to buy a new radio later on then you might find that it won't be able to communicate with the older ones. If you're thinking of getting an ethernet adapter for your jumbospot hotspot, watch out. The cheap Chinese ones on ebay (usually marked with the number 9700) have issues. See this link for full details. The short version is that they're only USB1 so are very slow, and they have a poor design that makes them perform sub-optimally. They still work but it might not be as good as a properly made and supported ethernet adapter. The slow speed is generally not too much of a problem since hotspots don't need to transfer data at a high speed most of the time anyway. Digital voice is low bitrate, which means it only needs low speeds. They should work out of the box, assuming you have a relatively up to date version of pi-star installed. I had to restart the hotspot to get it to work. I also noticed the dashboard loading much quicker than on Wi-Fi so even with the slow speed and poor design, it might be better to get one of these than relying on Wi-Fi. Still, it would be better to buy one which is properly supported, like the 3 Port USB Hub w/ Ethernet - Micro USB (Pi Zero) sold by ModMyPi, Pimoroni and other retailers. 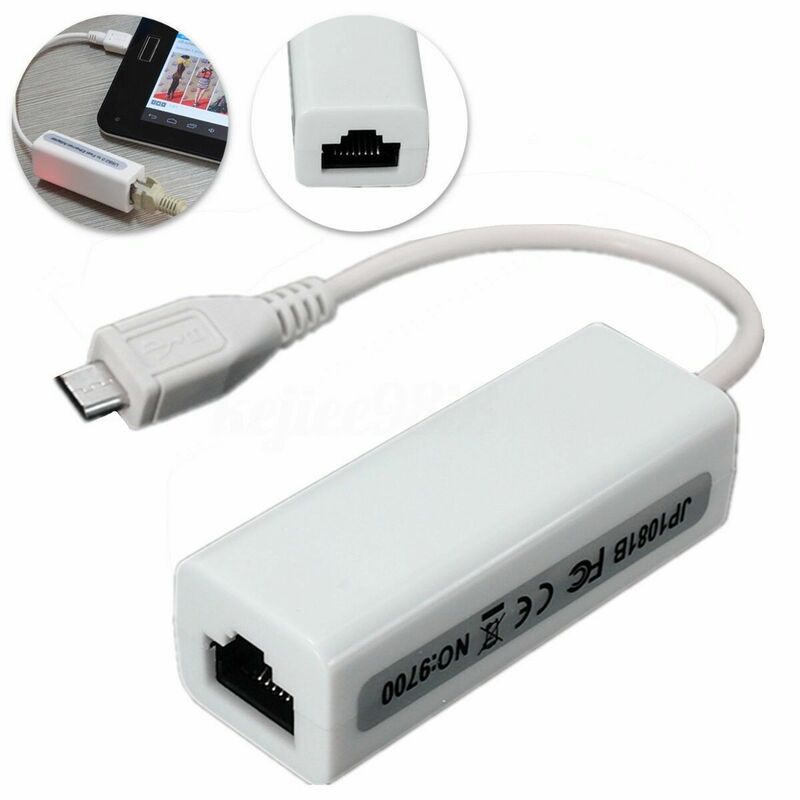 Update (19/04/2019): After about three months of use, I haven't had a single issue with this ethernet adapter. Although in theory they might not be completely optimal, I find that in practice they work perfectly adequately for hotspots. Hotspots generally operate at a low data rate, so the fact that this product only supports USB 1 isn't an issue for this use case. I recommend this product if you want to connect your hotspot by ethernet cable for more reliable connection to the internet.